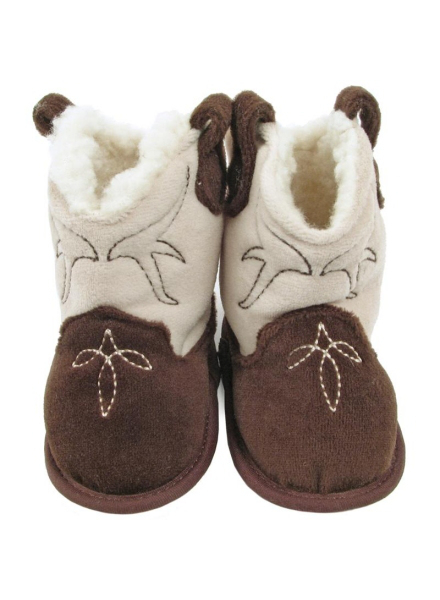 Keep baby toes cozy with these brown and tan velour western boot slippers with fluffy soft sherpa lining. Western embroidery. Soft sole with non-slip grippy dots. 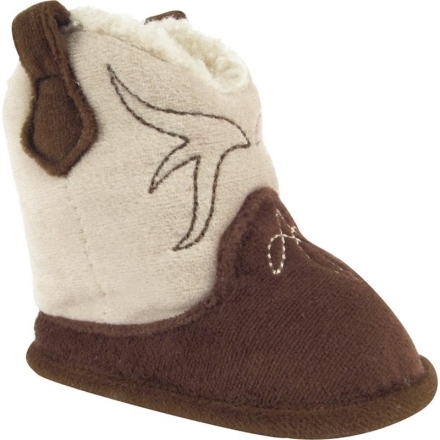 Top quality from Baby Deer.